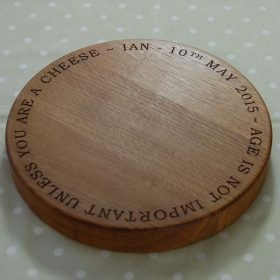 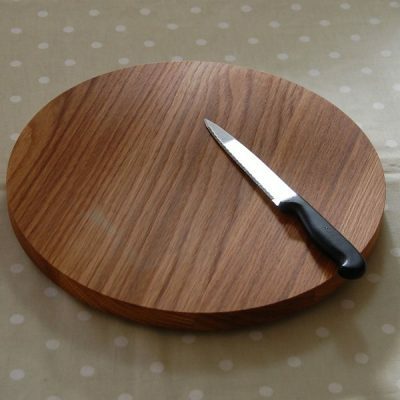 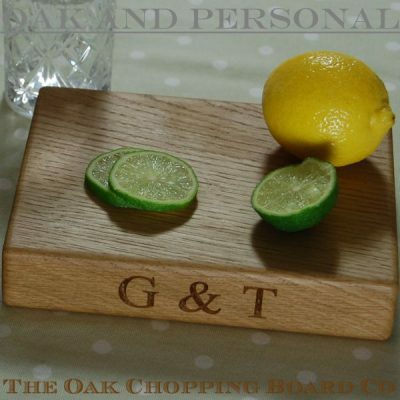 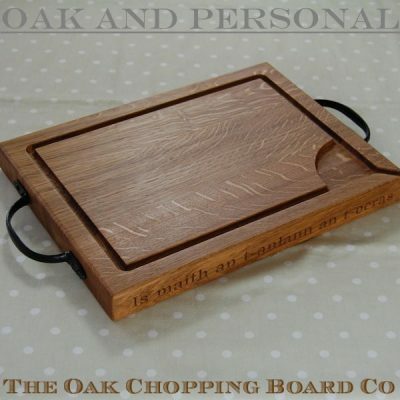 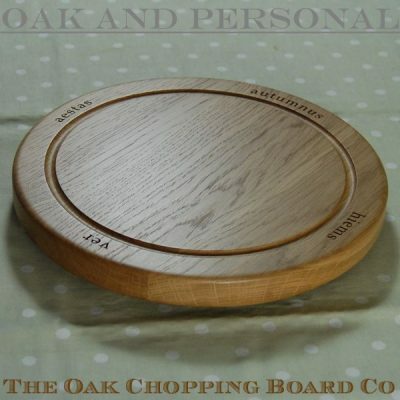 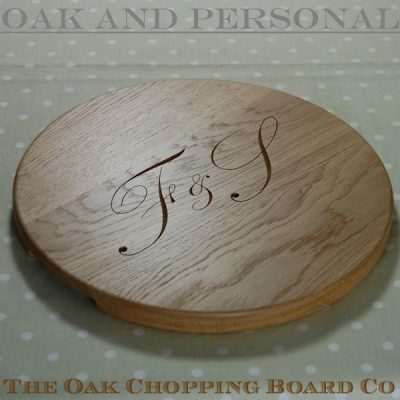 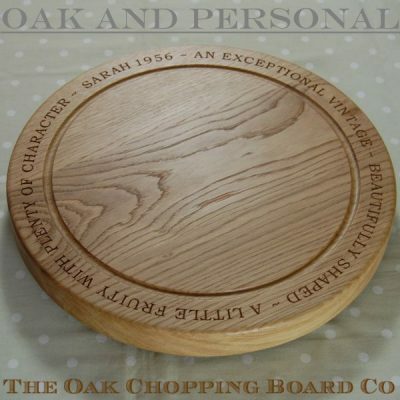 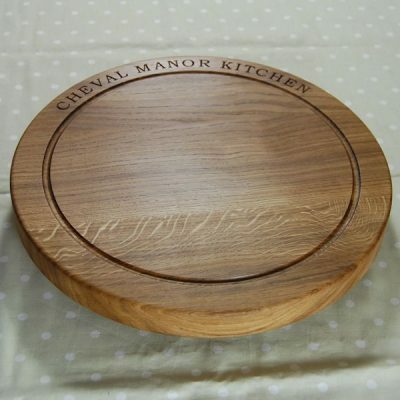 The stunning solid oak personalised wooden Lazy Susan platters from us here at The Oak Chopping Board Co exceed the quality and attention to detail of almost any other Lazy Susan available on the market. 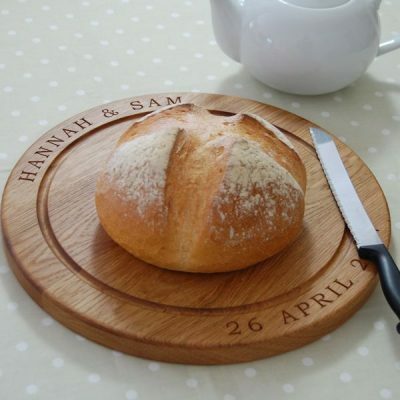 They are both casual and elegant with stylish and practical designs that are sure to become the centre of attention on your dining table, whichever design you choose. 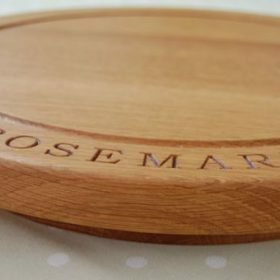 Our range of beautiful Lazy Susans includes 3 thicknesses (1.8cm, 2.7cm and 4.0cm) and 3 diameters (30cm, 38cm and 42.5cm). 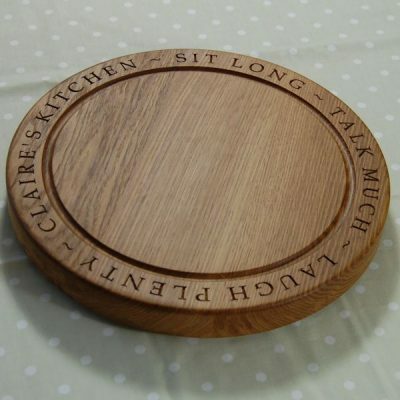 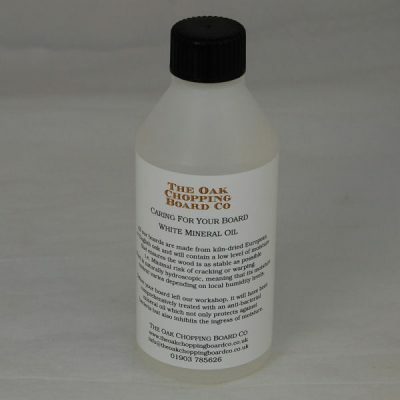 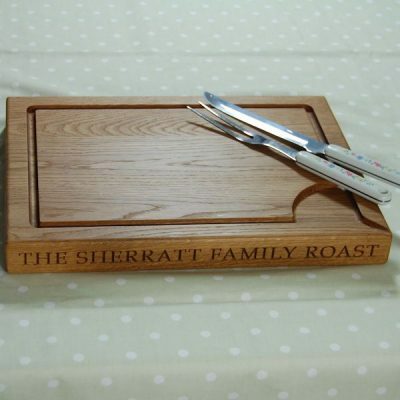 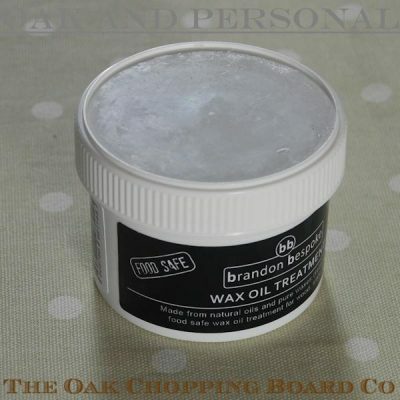 Each solid wooden Lazy Susans is hand crafted from full-length stave oak and can be personalised with your own engraved message and, unlike most other suppliers, we offer a choice of engraving fonts with no limit on the number of characters.